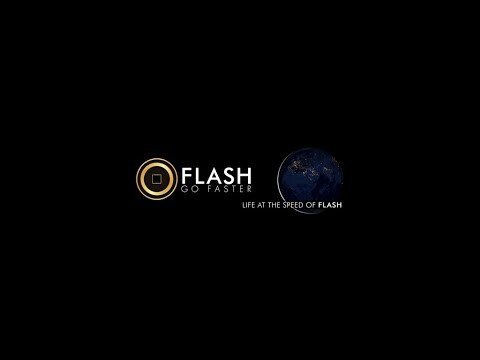 FLASH is a reinvention of Litecoin, built to scale for worldwide commerce and fast enough to handle everyday transactions. The flexible and easy to integrate core code allows exchanges and wallets to add FLASH to their platform within hours. With a settlement time of around 5 seconds and consensus within 2 minutes, anyone, anywhere can use the FLASH mobile wallet as easily as cash or credit card. FLASH will implement a new delegate-based consensus model called FLASH Consensus (FC). FC retains the decentralized spirit of cryptocurrency by relying on elected Delegates to rapidly reach blockchain consensus and ensure security. Every user will be able to use FLASH coins to cast votes for Delegates. Delegates will vote on network matters such as transaction fees and miner selection. Delegates elect 25 Miners who create new blocks on the blockchain. Rather than using PoS or PoW to secure the chain, FC controls the ordering of block generation rights by providing each Miner with a specific timeslot during which they can mine a block. When a Miner creates a block on the chain, that block serves as a vote indicating legitimacy. This new delegate model maintains network security while simultaneously enabling high transaction throughput. The FC algorithm also introduces a concept called Consensus Height (CH). CH refers to the moment when >50% of elected Miners have created a block on top of any given block in the chain. When this happens, consensus has been achieved and a block is considered legitimate. New features addition and stability improvement Multi cryptocurrencies support - BTC. Launch of FLASH Android Wallet. Multi cryptocurrencies support - ETH, DASH, LTC. Launch of new FLASH Decentralization Whitepaper. Release of FLASH iOS wallet. Addition of more cryptocurrencies - ERC20 tokens, NEO, etc.